Kentucky distillers, wineries and liquor retailers can now ship wine and spirits across state lines after the legislature passed the “bourbon without borders” bill earlier this year. The economic impact of Kentucky's tourism industry has jumped nearly 4 percent to more than $15 billion. A report commissioned by the Kentucky Department of Tourism shows the industry supports more than 195,000 jobs across the state and generated $1.5 billion in taxes. Of that tax money, $202 million went to local governments while the rest went to the state government. The Kentucky Department of Tourism says a national study found the economic impact of outdoor recreation in the state jumped to $12.8 billion last year, up from $8.4 billion in 2012. The study done by the Outdoor Industry Association also indicates that outdoor recreation in Kentucky directly supports $3.6 billion in wages and salaries from 120,000 jobs and provides $756 million in state and local tax revenue. The Tourism Department said in a statement that the numbers show Kentucky is starting to position itself as a top-tier destination for travelers seeking outdoor activities. Tourism Commissioner Kristen Branscum says Kentucky offers outdoor recreation opportunities in communities across the state. Bourbon, horses, and caves all helped Kentucky’s tourism industry post its strongest economic growth rate in more than a decade. Tourism had a $14.5 billion impact on Kentucky in 2016, up more than five percent from the previous year. Officials say it's the strongest overall economic impact growth rate since 2005, with each of the state's nine tourism regions showing increases. Following the announcement Monday at Corsair Distillery in Bowling Green, Tourism Commissioner Kristen Branscum credited the increase to marketing Kentucky as an ideal location for short getaways. Buffalo Trace Distillery in Kentucky has reached a milestone by welcoming its 1 millionth visitor. The distillery in Frankfort says the unsuspecting visitor, from Lexington, was greeted with cheers, a balloon drop and a special prize pack at the Visitor Center on Wednesday. The celebration continued throughout the day with cupcakes and commemorative T-shirts for employees. Distillery officials have been keeping track of visitations since the facility first opened for tours in 1999. They say annual visitations have more than doubled in the past five years. Last year, the number of visitors increased by more than 23 percent. Visitors regularly come from all 50 states and a number of other countries. 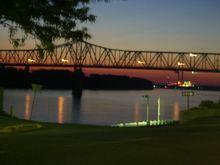 Southern Kentucky is seeing a huge boost in tourism spending. A new study shows a 10-county region including Barren, Logan, Simpson and Warren Counties had a nearly seven percent increase in tourism receipts last year. 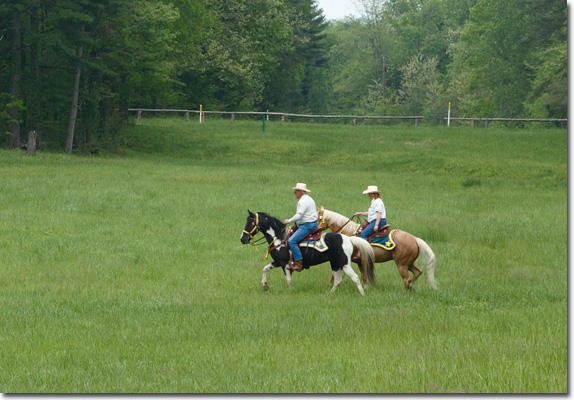 The numbers come from the annual Kentucky Tourism Economic Impact Report released this week. 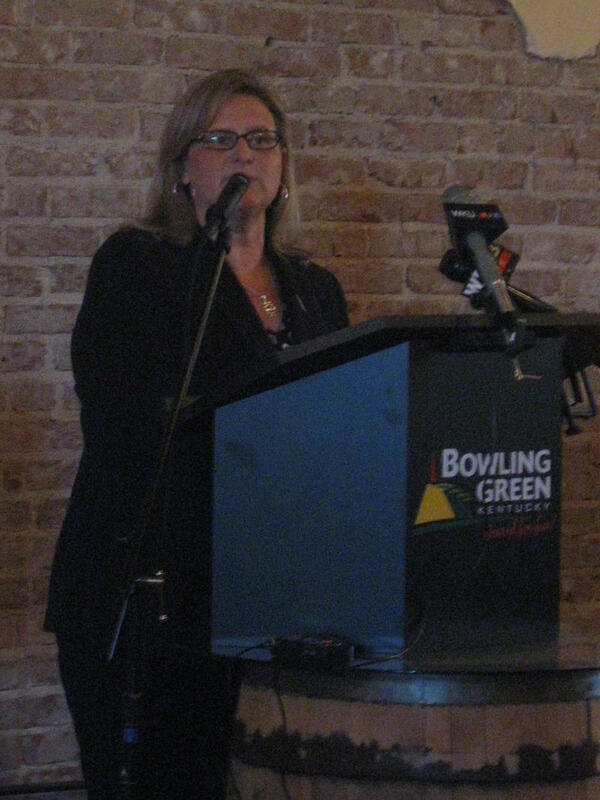 Telia Butler is a spokeswoman for the Bowling Green Area Convention and Visitors Bureau. She says the spike in regional tourism is due in part to several new Warren County attractions and events. 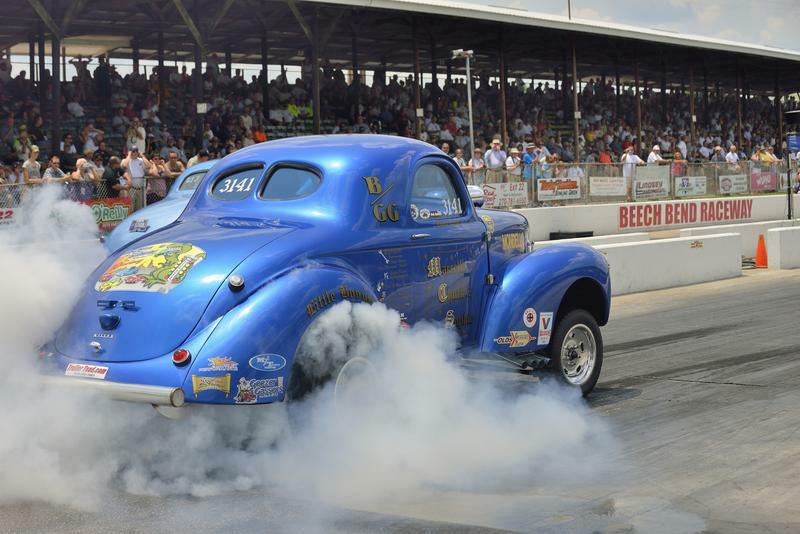 She says new motor sports events also added to the growth in tourism. The first full year of operation for the National Corvette Museum Motorsports Park drew a large number of visitors. A ten-county region in southern Kentucky is seeing the biggest increase in tourism revenue in the state. The region including Warren, Barren, Simpson, and Logan counties experienced a 6.7 percent jump in tourism and travel spending in 2014 versus the year before. A report from the Kentucky Tourism, Arts, and Heritage Cabinet says the state saw a 4.4 percent increase in tourism dollars last year. Telia Butler, with the Bowling Green Area Convention and Visitors Bureau, says record-setting attendance at the National Corvette Museum was one reason why the southern Kentucky region saw its gains. “We definitely can thank the sinkhole that happened in February of last year. 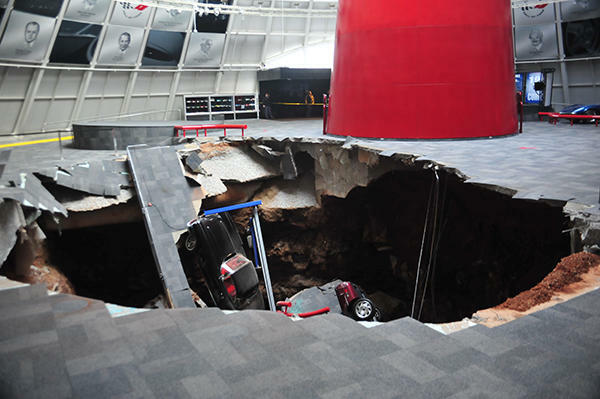 They made lemonade out of lemons out of what could have been a very negative thing over what happened over there,” Butler said, referring to the sinkhole that opened up beneath the Corvette Museum’s skydome, swallowing up several vintage vehicles. Far from driving visitors away from the museum, the massive publicity created by the story drew visitors from around the world to the Bowling Green attraction. Cory Ramsey talks to WKU Public Radio about Map Dot Kentucky. If the state of Kentucky is looking for an at-large ambassador for its small towns, they’d be hard pressed to find someone better suited for the job than Cory Ramsey. The 33 year old WKU graduate works as a welder during the afternoons, but is a Kentucky traveler in the morning. In the past five years, Ramsey has been to every county in the commonwealth at least twice. During his travels, Ramsey mostly sticks to the backroads in order to see parts of the state that are off the beaten path. His passion for exploring the commonwealth’s nooks and crannies led Ramsey to create Map Dot Kentucky, a website and social media venture dedicated to sharing pictures and stories related to Ramsey’s exploits throughout the state. Unlike some tourism websites that focus on large metro areas like Louisville and Lexington, Map Dot Kentucky is a place where small towns are celebrated. Ramsey told WKU Public Radio that his upbringing in the small western Kentucky town of Hickman helped shape the way he views the commonwealth. 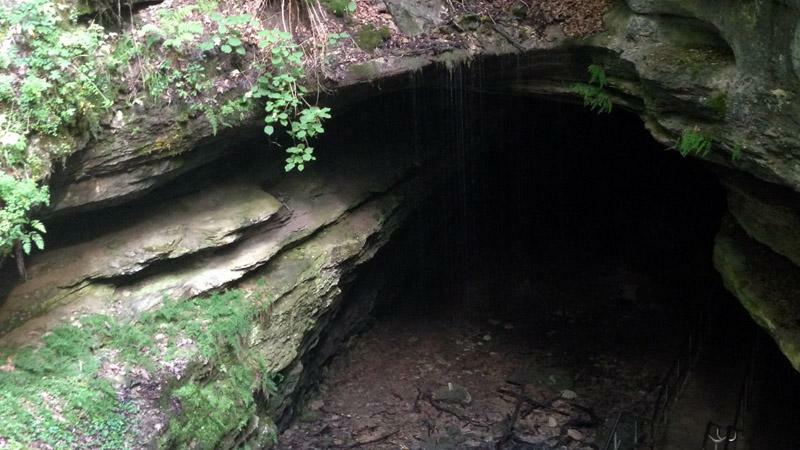 A new report shows tourism related to Mammoth Cave National Park is responsible for $40 million in economic benefit to the region. The analysis conducted by a group of economists with the U.S. Geological Survey measured the impact of tourism dollars spent by park visitors in 2013. According to the report, 494,541 visitors came to Mammoth Cave National Park last year, with tourism dollars supporting 567 jobs in the region. Mammoth Cave acting superintendent Lizzie Watts told WKU Public Radio the nearly half-a-million visitors who came to the south-central Kentucky attraction did more than just spend money. She says they also walked away with an enhanced respect for the region that they take back with them to their communities across the U.S. and globe. Watts says Mammoth Cave is seeing an increase in the number of visitors interested in boating along the Green River, as well as those using the eight-mile Big Hollow Trail, which was opened in December to mountain bikers, hikers, and runners. Overall, the new report says the 273.6 million visitors to National Park Service attractions in 2013 spent $14.6 billion in areas within 60 miles of a park. Now that Lake Cumberland’s water level is back to its full summer point for the first time in eight years, the head of the state dock there says the region is in for a great tourist season. The U.S. Army Corps of Engineers announced this week that the recent rain in southern Kentucky has pushed Lake Cumberland’s water level to 723 feet above sea level. The water level at the lake was dropped in 2007 while repair work was done on Wolf Creek Dam. Lake Cumberland State Dock president Bill Jasper told WKU Public Radio it’s been a challenge fighting off negative public perceptions about the lake over the past eight years. He says this week’s news helps erase those problems. Governor Steve Beshear has named a longtime tourism veteran to oversee the part of his cabinet dealing with travel and the arts. Bob Stewart is a familiar face in state government, having worked for 11 years as commissioner of travel from 1992 to 2003. And now, he'll be the new Tourism Secretary, having been appointed by Beshear to fill the post vacated by Marcheta Sparrow, who’s retiring. Stewart is starting work for his fourth governor, having previously served under Brereton Jones, Martha Layne Collins and Julian Carroll. He's either played roles in tourism or worked as an executive assistant for those governors. A new report says the economic impact of tourism in Kentucky grew again last year. The study reports a $12 billion impact for tourism last year. That's up about four and a half percent from the previous year. In addition, the report credits tourism for 174,000 jobs and $2.7 billion in wages. 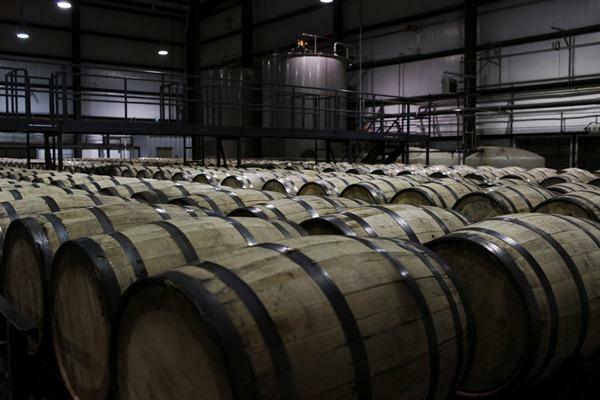 In a statement, tourism officials give partial credit to growth of the Kentucky Bourbon Trail. The series of distilleries has drawn steady interest since it's inception in 1999, but broke an attendance record last year, drawing over half a million visitors. Owensboro's tourism economy took a pounding after its largest hotel, the Executive Inn Rivermont, closed in 2008 as the national economy started to falter, but now things are looking better. The Owensboro-Daviess County Convention & Visitors Bureau, which is funded primarily by a hotel room tax, brought in $587,567 at the end of this fiscal year --more than the $512,000 budgeted. The ten-county Caves, Lakes and Corvettes Region saw an increase of 3.7% in direct tourism expenditures in 2011 equaling nearly $340 million. The increase added an overall amount of nearly $534 million in total expenditures to the region's economy.